Spring 2019: We are now open for trail riding! Enjoy a scenic trail ride through the picturesque Dingman Creek Valley. The hills overlooking the valley offer a beautiful view of the surroundings, which include 220 acres of rolling terrain and wooded trails. 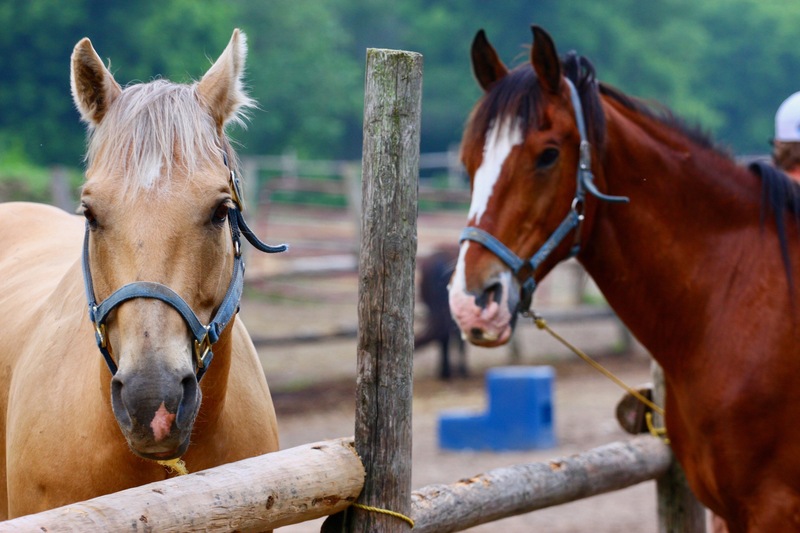 We have over 40 horses and ponies to suit beginners to experienced riders. We offer trail rides through the spring and fall seasons. Please set up a specific appointment for 10:00, 11:30, 1:30 or 3:00 Saturdays, Sundays, and holidays. Reservations are required for all riding and is weather dependent. 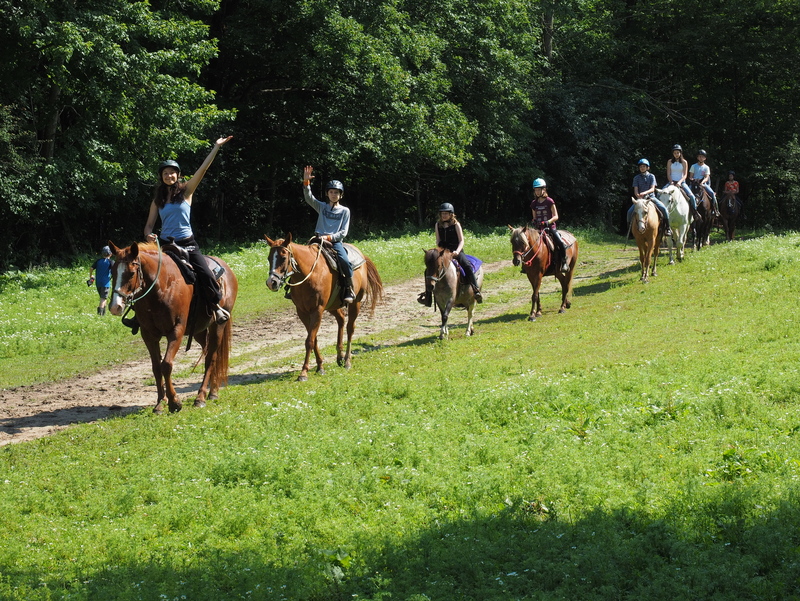 Please Note: Trail riding is not offered in the summer, July and August due to our summer day and overnight youth camps, or during the winter season. For ages 8 years and older, you can enjoy a one-hour trail ride. Our weekend fee is $49/person (HST included). Weekday and holiday fee is $52/person (HST included). Book a private ride if you wish to have no other public on your trail or if you are an experienced rider and would like to go for a jog or lope (max 6 people for a lope). Additional $49 (HST included) per trail on weekends, $52 (HST included) on weekdays and holidays. When booking your trail ride we will need to know the number of people in your group, age of riders and the approximate height and weight of each rider. We will also please need a credit card to secure the booking. Must call 24-hours in advance if you need to cancel or change the time of your ride. We are still able to ride in a little bit of rain but please call if you’re concerned about the weather. If we need to change your booking due to weather, we would call you as soon as possible. Please note we do have a weight restriction of 220 lbs. Please call 519-471-3799 for reservations. Western riding lessons are also available. Footwear: please wear closed toed shoes. Ideally a shoe or boot with a firm sole and 2 cm heel. No sandals, crocs, high heels, open toed shoes or wide toed footwear. Rubber rain boots work well. Leg wear: Loose, comfortable, long pants are necessary. For your comfort dress for the weather.